Sunbridge offers our students the opportunity to become part of a unique learning and living environment. Our institute is located 30 miles northwest of Manhattan on 140 acres of land—beautiful gardens, orchards, and woodlands—that comprise the campus of the Threefold Educational Center, a community of institutions and initiatives based on the work of Rudolf Steiner. You’ll find lots of interesting people to meet and many activities to engage in. 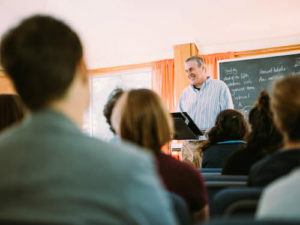 Whether you’re here as a program student or a workshop or course attendee, the quality of your experience while at Sunbridge—both in and out of the classroom—matters a great deal to us. Prior to your arrival, you’ll be sent an email with any details you’ll want or need to know concerning your time here; once you’re on campus, we strive to provide any assistance you may need. Please be sure to read through our website pages to learn about our community and all we have to offer, and feel free to contact us if you have any questions or concerns.